× 7 = sixty three Required Please enter the correct value. The Dow Jones today projected a 110-point gain this morning on the heels of the index's longest losing streak since the 1970s. Ongoing worries about a global trade war have pressed the Dow Jones down eight consecutive days. Futures rose this morning on reports that members of the international oil production body OPEC had reached a deal to lift output by a nominal 1 million barrels a day. This news is likely to push oil securities down as investors flee from lower prices. 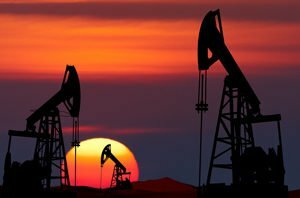 However, they're missing the bigger picture – and the profit hiding behind OPEC's move. Recently, MGM Resorts International (NYSE: MGM) purchased Empire City Casino and Yonkers Raceway. The deal will allow the company to capitalize on the sports-gambling craze. But there's another company trading at an incredible discount that presents an amazing opportunity for investors. This is how you could make an easy 100% in the weeks ahead. Investors still remain cautious about ongoing trade tensions between the United States and China. This morning, Chinese media outlets said that the Trump administration had "a symptom of paranoid delusions" when it came to its protectionism. Trump is currently threatening another round of tariffs on up to $200 billion in Chinese goods. With yet another round of tariffs on the way, the United States is close to implementing the most significant trade protectionist policies since the 1930s. Shares of Amazon.com Inc. (Nasdaq: AMZN) are generating a lot of buzz after the Supreme Court said it will allow states to collect more sales tax from online retailers. Shares of Wal-Mart Stores Inc. (NYSE: WMT) and Target Corp. (NYSE: TGT) both ticked higher. Despite the small downturn in AMZN stock, Boris Schlossberg, of BK Asset Management, said Wednesday afternoon that the e-commerce giant could soon been worth more than $2,000 per share before we see another pullback from the Nasdaq. AMZN is up 50% in 2018 and has hit 34 new records so far this year. The U.S. Federal Reserve announced that 35 U.S. banks passed their latest round of stress tests, which are designed to determine if a financial institution has enough money in the event of a serious economic downturn or other event. Expect a lot of chatter today about what this means for firms like Bank of America Corp. (NYSE: BAC), Citigroup Inc. (NYSE: C), JPMorgan Chase & Co. (NYSE: JPM), and Goldman Sachs Group Inc. (NYSE: GS). Shares of Intel Corp. (NYSE: INTC) are in focus after the company's CEO, Brian Krzanich, was forced out of his role after admitting to a "consensual relationship" with an employee. INTC stock clawed back about 1% Friday morning after sliding more than 2.3% during Thursday's trading session. The downsizing of Tesla Inc. (Nasdaq: TSLA) will continue. The company announced last night that it will shutter 12 solar facilities across nine states. The announcement comes a week after the company said it will slash 9% of its workforce, just two years after the controversial $2.6 billion deal to purchase Musk-run Solar City. BlackBerry Ltd. (Nasdaq: BB) reported earnings before the bell Friday. The Canadian tech company was expected to report earnings per share (EPS) of $0.01 on top of $206.4 million in revenue. Instead, shares popped 4% after the firm reported EPS of $0.03 and higher-than-expected revenue. The company's performance was driven by strong sales of high-margin software and its services division. Look for an additional earnings report Friday from CarMax Inc. (NYSE: KMX).